Every year mmg has its Annual Barbecue and we like to have a lot of fun. 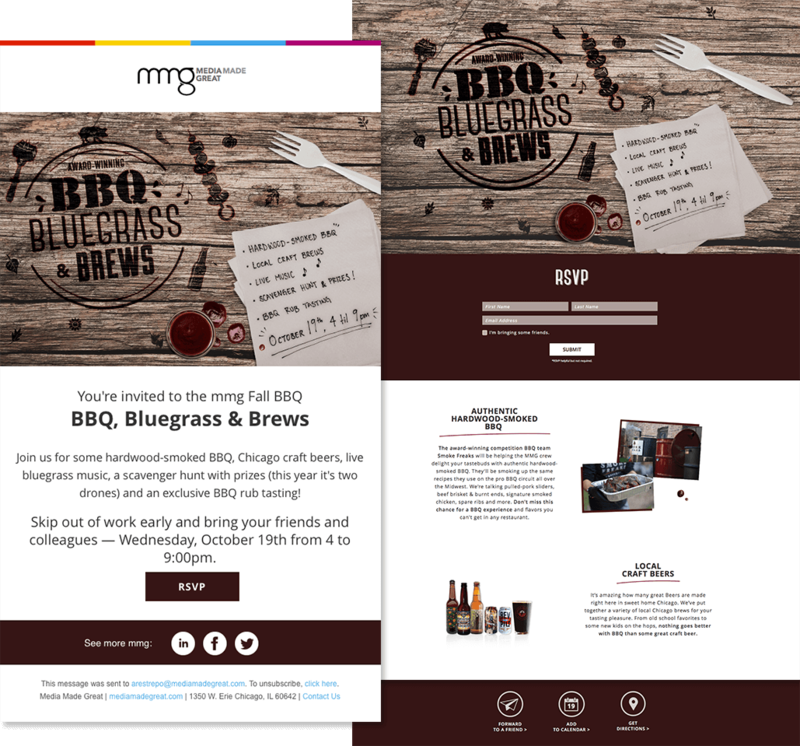 To get the word out, this year we created an email and a landing page to let our colleagues, clients and friends RSVP for the event. Every year we do a Scavenger Hunt where people can answer questions to win some prizes. This year we made a web application that people could use to play the scavenger hunt on their phones and we gave away two drones. The usability was great and nobody had trouble retrieving their raffle number. We also helped design a BBQ Rub Taste Test that our friends at Smoke Freaks could use to fine tune their latest rub recipes. 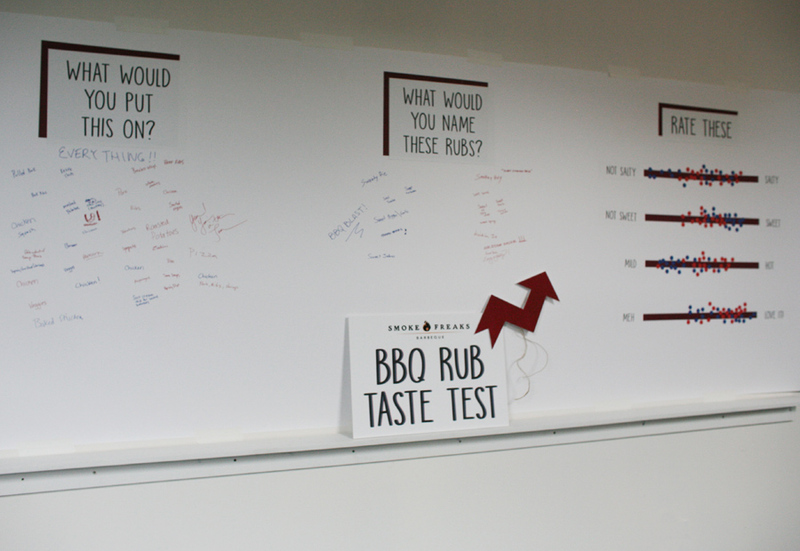 We created a fun, analog, interactive way for people to answer four simple questions and enter to win some barbecue prizes. And it was a success. Smoke Freaks got a lot of great consumer feedback. to explore the space and activities.